Steve Jennings/Getty Images for TechCrunchVinod Khosla. The Supreme Court refused to hear a case involving a billionaire who had been ordered to restore public access to a beach he owns in Northern California. The property, known to locals as Martins Beach, used to be a popular spot for surfing and fishing. The Sun Microsystems cofounder Vinod Khosla bought the beach for roughly $US37 million in 2008 and later closed off public access to it. The Surfrider Foundation sued over the closing, saying it was unfair to bar entry to a beach to which the public had access for decades. The decision puts to rest a nearly decadelong court battle centered on whether the public should be able to access a small strip of land known as Martins Beach, about an hour south of San Francisco. Martins Beach used to be a popular fishing and surfing spot until Vinod Khosla, a cofounder of Sun Microsystems, bought the property for $US37 million in 2008 and blocked the public from accessing it. That prompted the Surfrider Foundation to sue, saying it was unfair to shut down an area the public had access to for years. Khosla, who has a net worth of $US1.55 billion and does not live on the property, was met with intense public scrutiny in 2010 for hiring guards to patrol the only road leading to the beach. In 2012, five surfers who bypassed the gate were arrested on suspicion of criminal trespassing, sparking further civil litigation and legislative action. An appeals court in San Francisco ruled last year that Khosla violated state law by denying access to the beach. 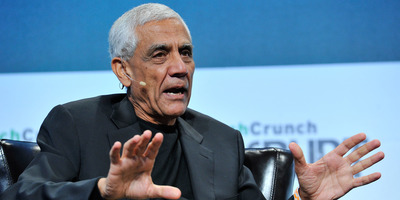 Khosla responded by filing an appeal with the Supreme Court to overturn the ruling on the grounds that he didn’t need a permit to put a gate on his own property. Activists hailed the Supreme Court’s decision. “The most conservative and divided Supreme Court in my lifetime confirmed that even a billionaire, who refuses to acknowledge that the law applies to him, and retains the most expensive attorneys he can find, cannot create a private beach,” Joseph Cotchett, the lead attorney for the Surfrider Foundation, told the Los Angeles Times.